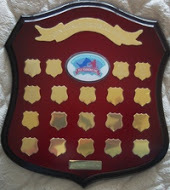 MPFF Inc have two major club awards each year. The winner is nominated by all club members annually. THE GLENN McCARTHY FLY TYING AWARD for the Fly Tyer of the Year of which the winner receives an engraved Fly Tying Vice.